Get Creative Painting Through a Winter Wonderland! Join Daphne as she walks you through creating a winter themed painting inspired by past artists. We will use acylic paint, nibble on goodies, listen to christmas music, and chat about art. It's a great way to relax with friends! Bring friends or make friends. Supplies included. You pick your medium and your reference material that you will work from and Daphne will help you work through your paintings or drawings. Daphne will share tips and techniques on creating works of art as you work on what you want at your own pace. This tutoring and mentoring class is open to all skill levels. Class sizes are small, max. 5 students. Open to oil AND acrylic painters! Take a weekend retreat and devote yourself only to improving your portrait painting skills. We will cover general topics in portraiture as well as concentrating on the particularities of our models. We will be working from live clothed models focusing on creating likeness. Learning to see and record the individuality of your model is of major importance when you are painting portraits. We will cover facial anatomy and learn to discover the subtleties that are unique to a person's individuality and personality. We will also cover light and shadow, hair, and clothing. You can apply the skills you learn in this class to all your portraiture - in fact your new knowledge and ability will show in all your painting! Working from live models we will learn how to paint the human form by starting with a limited pallet developing tone and then building up with color to create lively paintings in either oil or acrylic. We will explore composition, skin tones/color, painting techniques. The class will start with demos and lecture on Friday night. Saturday and Sunday will start with quick painting sketches, bring a bag lunch for an inspirational lunch break with Daphne, and the last hours will cover long poses to create finished paintings. Open to students 18yrs+. This workshop is packed full of drawing exercises designed to help you to see and learn valuable techniques for drawing the world around you. 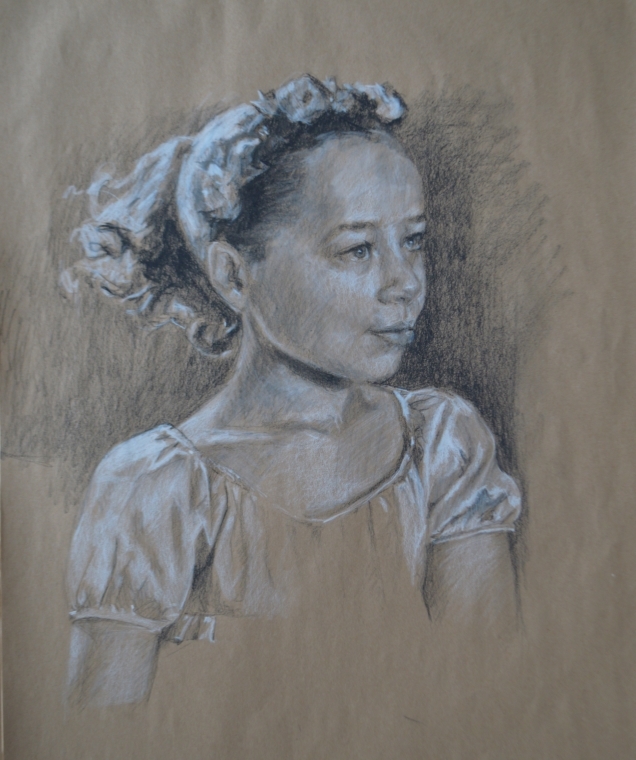 You will explore, line, light and shadow, perspective, texture, and composition while drawing a variety of subjects. The aim of this workshop is to improve your drawing skills so you can draw anything.